A Pell Grant is a subsidy the U.S. federal government provides for students who need it to pay for college. Federal Pell Grants are limited to students with financial need, who have not earned their first bachelor's degree, or who are enrolled in certain post-baccalaureate programs, through participating institutions. The Pell Grant is named after Democratic U.S. 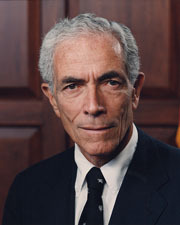 Senator Claiborne Pell of Rhode Island, and was originally known as the Basic Educational Opportunity Grant. A Pell Grant is generally considered the foundation of a student's financial aid package, to which other forms of aid are added. The Federal Pell Grant program is administered by the United States Department of Education, which determines the student's financial need and through it, the student's Pell eligibility. The U.S. Department of Education uses a standard formula to evaluate financial information reported on the Free Application for Federal Student Aid (FAFSA) for determining the student's expected family contribution (EFC). Pell Grants were created by the Higher Education Act of 1965. These federal funded grants are not like loans, and need not be repaid. Students may use their grants at any one of approximately 5,400 participating postsecondary institutions. These federally funded grants help about 5.4 million full-time and part-time college and vocational school students nationally. As of 2016[update], six of the top ten colleges (by total Pell Grant money awarded) were for-profit (proprietary) institutions. Today, the Pell Grant program assists undergraduates of low-income families, who are actively attending universities and or other secondary institutions. However, before the Pell Grant became what it is today, it went through numerous changes. In 1965, Congress passed the Higher Education Act of 1965 (HEA). President Lyndon B. Johnson implemented the HEA as a part of his administration's agenda to assist and improve higher education in the United States. It was the initial legislation to benefit lower- and middle-income students. The HEA program included not only grants but also low interest loans to students who did not qualify for grants. Universities and other institutions, such as vocational schools, benefited as well from the HEA program, by receiving federal aid to improve the quality of the education process. Student aid programs administered by the US Department of Education are contained in Title IV of the HEA and so are called "Title IV Programs." In 1972, Title IX Higher Education Amendments were a response to the distribution of aid in the current grant. Senator Claiborne Pell set forth the initial movements to reform the HEA. Opportunity Grant Program (Basic Grant) were intended to serve as the "floor" or "foundation" of an undergraduate student's financial aid package. Other financial aid, to the extent that it was available, would be added to the Basic Grant up to the limit of a student's financial need. Most changes to the federal student aid program result from a process called reauthorization. Through the process of reauthorization, Congress examines the status of each program and decides whether to continue that program and whether a continued program requires changes in structure or purpose. Congress has reauthorized campus-based programs every five or six years, beginning in 1972. In 1994, Congress passed the Violent Crime Control and Law Enforcement Act (VCCLEA), a provision of which revoked Pell Grant funding "to any individual who is incarcerated in any federal or state penal institution." A provision of this Act overturned a section of the Higher Education Act of 1965, which created the Pell Grant for postsecondary education. The provision reads, "No basic grant shall be awarded under this subpart to any individual who is incarcerated in any Federal or State penal institution." Prisoners first became eligible for basic grant funding in 1972. As the principal design of the Pell Grant was to help low-income individuals attain post-secondary education, including prisoners was consistent with the goal. The grant aimed to reach those who might not otherwise have an opportunity to enroll in college study or vocational training programs. Including prisoners for funding was based on the notion that higher education improved inmates, reduced recidivism, and contributed to a more orderly institution. There is growing advocacy for reinstating Pell Grant funding for all prisoners who would qualify, despite their incarceration status by members of the House of Representatives who introduced the Restoring Education and Learning Act (REAL Act) in the spring of 2015. Education represents an opportunity to take the straight and narrow, to break the cycle. At the executive level, the Obama Administration backed a program at the Department of Education that would allow for a limited lifting of the ban for some prisoners called the Second Chance Pell Pilot. The Higher Education Amendments of 1972 reauthorized the three campus-based programs, leaving the Economic Opportunity Grant Program with the same name, but renaming the two others: the National Defense Student Loan Program became the National Direct Student Loan or Federal Direct Student Loan Program and the Federal Supplemental Educational Opportunity Grant Program (SEOG). In addition, Proprietary (profit-making) schools became eligible to use Title IV Funds. Also, the Educational Opportunity Grant Program would no longer function as a stand-alone program of gift aid but instead would be linked with the Basic Grant Program. In 1978, the Middle Income Student Assistance Act of 1978 (MISAA) was signed into act by President Jimmy Carter. This bill provides more generous Basic Educational Opportunity Grant, Pell Grants to low-income students, and makes students from families with incomes up to about $250,000 eligible. An additional 1.5 million students from middle-income families became eligible for the Basic Grants program. In 1978, the alterations to the HEA were made to honor Claiborne Pell with his hard work and dedication to improving the higher education of the students in the United States. Families were now able to borrow $300 a year for each dependent child in school regardless of income. Several changes to the program occurred in 2011. The maximum award amount for the 2011–2012 award year is $5,500. Despite a shortened application process, fewer funds for the 2011–2012 program could lead to financial problems for many students. The government funded the program at $17.1 billion from 2008–2010, as part of the American Recovery and Reinvestment Act of 2009. However, the additional funding does not match the needs of increasing numbers of students who enroll in college and qualify for aid through the recession. The Pell Grant program was subject to a $5.7 billion decrease in funding as part of a continuing resolution (H.R. 1), which cleared the House in February 2011 and cut about $60 billion from the federal budget. The changes would take effect for the 2011–2012 school year, decreasing the maximum amount of aid for the most needy students from $5,550 to $4,705 a year; in addition, about 1.7 million students who receive smaller Pell Grants would become ineligible for the program. Approval for the cuts is not certain because of long-standing bipartisan support from the Senate. As of April 6, 2011, funds have not been approved, as the Senate has not voted to pass this legislation. The application process requires the student and the student's family complete a Free Application for Federal Student Aid (FAFSA) form. The applicant should complete the FAFSA form for the first time prior to starting the freshman undergraduate year and then update the form each year as the applicant progresses through the college undergraduate term. The first step in applying for the Pell Grant is to complete or update the FAFSA form on or after March 1 of each year. If an applicant must correct a completed FAFSA form, it can be done in step 3 of the application, in the "Make corrections to a processed FAFSA" section. When the student completes or updates the FAFSA application, answers to questions determine eligibility for the Pell Grant, among other government grants and funding. After the initial FAFSA application is submitted, the student is notified by email or regular postal delivery if funding is awarded. Copies of the confirmation sheet should be made for personal records. The U.S Department of Education has a standard formula that it uses to evaluate the information that each person supplies when applying for the Pell Grant. The formula used was created by Congress from criteria submitted through the FAFSA form. The formula produces a number that is called the Expected Family Contribution (EFC), which determines the student's eligibility. This grant requires each applicant to be an undergraduate student who has not yet earned a bachelor's degree, and a United States citizen or an eligible non-citizen (usually, a permanent resident). In addition, the applicant must have a high school diploma or a GED or be able to demonstrate the ability to benefit from the program. Applicants must also sign a statement certifying that they will use the aid only for education-related purposes, that they are not currently in default for any federal student loans, and that they owe no refund for any federal education grants. The Pell Grant also requires that students maintain satisfactory academic progress in a degree-oriented program as defined by the school they attend. Males between the ages of 18 and 25 must register with the Selective Service. A person may be eligible if previously incarcerated but with limited eligibility, depending on the offense. Students may be ineligible if they have been convicted of a drug-related offense, but it depends on the actual charge, when it happened, and if they attended a drug rehabilitation program. They must not have an outstanding Pell overpayment on record. Students who received a full scholarship of any kind are ineligible. An applicant may not receive Pell Grant funds from more than one college at a time. As with all grants, there is a maximum amount that the government funds for each applicant. For the 2010–2011, 2011–2012, 2012–2013, and 2013-2014 award years, the maximum amount was $5,645. The maximum amount has increased for the 2014-2015 award year to $5,730. The maximum amount of the grant usually depends on the EFC and several other factors, including cost of attendance, the amount of time the student plans to attend college, whether it is a full academic year, and whether one is a full-time or part-time student Once one has been considered eligible, the money can be obtained a couple of ways: the student's school can apply Pell Grant funds to school costs, pay the student directly, usually by check, or combine these methods. The school must tell the student in writing how much the award will be and how and when it will be paid, and it must disburse Pell Grant funds once a semester/term or twice during the academic year. Under certain circumstances, Pell funds can also be used to fund Career Pathways programs and support services. Advocacy efforts are growing to reinstate prisoner eligibility for the Pell Grant. There is growing focus on education as a preventative to re-incarceration. An increasing number of studies underscore education as a critical factor. In 1997, one study on 3,200 prisoners in three states showed that simply attending school behind bars reduced the likelihood of re-incarceration by 29 percent. Typically, the college first applies the grant or loan money toward a student's tuition, fees, and (if the student lives on campus) room and board. Any money left over is paid to the student for other expenses: books, living expenses if the student does not live on campus, and transportation. Students coming from low-income families already face increased challenges that hinder their ability to receive a higher education. The Pell Grant addresses one of the issues by making college accessible to students that may need the financial assistance. It has been shown to increase the college enrollment of students coming from lower and moderate-income families. It can also reduce the chances of them dropping out. The scheduled award is the maximum amount of Federal Pell Grant funding a student can receive is calculated for an award year. An award year is a period from July 1 of one calendar year to June 30 of the next year. The scheduled award is partially determined using the student's expected family contribution (EFC), which the program calculates from the information the student and family provided in the Free Application for Federal Student Aid (FAFSA). The result is the maximum amount the student can receive for the award year if enrolled full-time for the full school year. It represents 100% of the Pell Grant eligibility for that award year. To determine how much of the maximum six years (600%) of Pell Grant the student uses each year, the U.S. Department of Education (ED) compares the actual amount awarded for the award year with the scheduled award amount for that award year. A student who uses 100% receives the full award. A student might not receive the entire scheduled award for an award year, most commonly if the student did not enroll for the full year, did not enroll full-time, or both. If the student does not receive the full award, ED calculates the percentage of the scheduled award they received. Before the 2011-2012 Aid Year, the FAFSA limit was 18 semesters, but it was cut to 12 semesters by Congress. ED tracks the Lifetime Eligibility Used by adding the percentages of the Pell Grant scheduled awards a student receives each award year. ^ a b "Federal Pell Grants are usually awarded only to undergraduate students". Retrieved March 10, 2017. ^ a b "Wondering how the amount of your federal student aid is determined?". Retrieved March 10, 2017. ^ "Federal Pell Grants" (PDF). Department of Education. Retrieved April 6, 2011. ^ a b c d e f "What is a Pell Grant?". College Board. Retrieved March 26, 2011. ^ "Federal Pell Grant". Minnesota Office of Higher Education. Retrieved March 26, 2011. ^ "Distribution of Federal Pell Grant Program Funds by Institution and Award Year". www2.ed.gov. August 31, 2017. Retrieved April 16, 2018. ^ "The American Presidency Project". Gerhard Peters. Retrieved March 26, 2011. ^ "Federal Pell Grant Program". U.S. Department of Education. Retrieved June 7, 2011. ^ a b c d Hopkins, Katy. "Potential Cuts to Pell Grant Could Affect Students in 2011". U.S. News. Retrieved March 26, 2011. ^ "What happens after I submit the application?". fafsa.ed.gov. Retrieved June 17, 2018. ^ "Students with Criminal Convictions". Federal Student Aid Information Center. December 1, 2014. Retrieved September 11, 2015. ^ "Pell Grant Eligibility". Pell Grant Eligibility. February 22, 1999. Retrieved February 5, 2014. ^ "Funding Career Pathways: Pell Grants" (PDF). Center for Law and Social Policy. Archived from the original (PDF) on September 30, 2011. Retrieved August 9, 2011. ^ Boteach, Melissa, Erik Stegman, Sarah Baron, Tracey Ross, and Katie Wright. "The War on Poverty: Then and Now." The War on Poverty: Then and Now (2014): 1-34. Center for American Progress. Center for American Progress. Web. 14 Apr. 2015. <https://www.americanprogress.org/wp-content/uploads/2014/01/PovertyAnniversary.pdf>. ^ "Funding Status - Federal Pell Grant Program". .ed.gov. November 21, 2011. Retrieved February 5, 2014. ^ "Calculating Pell Grant Lifetime Eligibility Used | Federal Student Aid". Studentaid.ed.gov. June 15, 2012. Retrieved February 5, 2014.